Saxon Snuff Box, Johann-Christian Neuber. Photo: Christie’s Images Ltd 2014. LONDON.- Christie’s Centuries of Style sale on 25 – 26 November 2014 will offer collectors a varied array of rare and beautiful masterpieces from across the ages. 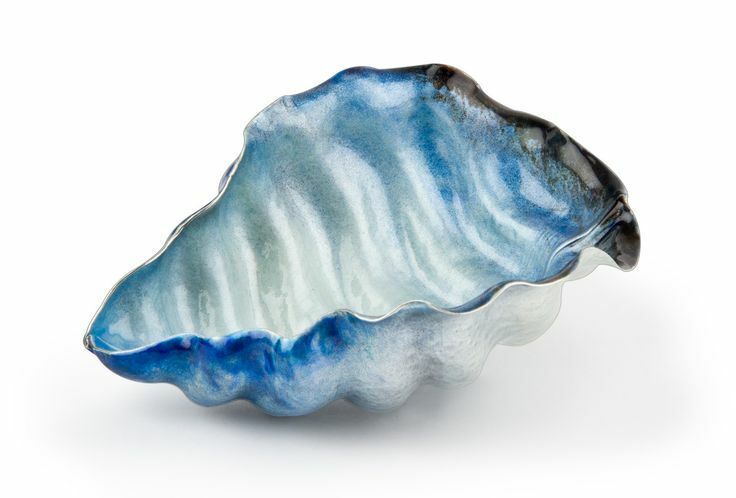 Comprising 497 lots, including Silver, European Ceramics, Portrait Miniatures and Gold Boxes, the sale is expected to realise in excess of £3 million. The auction showcases a fine selection of gold boxes from the 18th and 19th centuries, each displaying outstanding craftsmanship from celebrated European goldsmiths. Of particular note is an important Saxon gold-mounted stein-cabinet snuff-box by Johann-Christian Neuber circa 1790 (estimate: £150,000-200,000). This exquisite lot demonstrates the skill and imagination with which Neuber employed the technique of zellen mosaic lapidary, utilising hardstones that were mined in Saxony, to international acclaim. An important Saxon gold-mounted stein-cabinet snuff-box by Johann-Christian Neuber (1736-1808), Dresden, circa 1790, struck with a later French guarantee mark for small items. Estimate: £150,000-200,000 ($238,800 – $318,400). Photo: Christie’s Images Ltd 2014. Notes: Johann-Christian Neuber (1736-1808) and his father-in-law, Heinrich Taddel are credited with the development of the technique Zellen mosaik lapidary, in which hardstone panels are suspended à jour within a fine geometric cagework of gold. This technique, which is similar to creating cloisonné enamel, is highlighted by the juxtaposition of opaque and translucent panels in the present box. Born in Neuwunsdorf on 7 April 1736, Johann-Christian Neuber was apprenticed at the age of seventeen to Johann Friedrich Trechaon. On 13 July 1762 he became a master of the goldsmith’s guild in Dresden, and in 1769 he succeeded his father-in-law Heinrich Tadell as director of the Green Vaults. By 1775 he had been appointed Hofjuwelier to the court of Friedrich Augustus III. In an advertisement in the Journal der Moden of April 1786, Neuber praised his stock-in-trade which sold ‘at the cheapest prices’, and the present box must have been in the category of ‘boxes for gentlemen and ladies, as stone-cabinets, mounted in gold and lined with gold, of all Saxon country-stones, such as carnelians, chalcedonies, amethysts, jaspers, agates and petrified wood, numbered, together with an inventory of names, and where they can be found; a box for gentlemen (Manndose) costs 150-300 Reichsthaler, a box for ladies (Damesdose) 90-150 Reichsthaler’, W. Holzhausen, Johann Christian Neuber, ein sächsischer Meister des 18. Jahrhunderts, Dresden, 1935, p. 12. Of distinguished provenance is a beautifully decorated Louis XVI snuff-box by renowned Parisian goldsmith Joseph-Etienne Blerzy, previously in the collection of Mayer Carl von Rothschild (estimate: £80,000-120,000). A Louis XVI enamelled gold snuff-box by Joseph-Etienne Blerzy, Paris, 1776-1777, previously in the collection of Mayer Carl von Rothschild. Estimate: £80,000 – £120,000 ($127,360 – $191,040). Photo: Christie’s Images Ltd 2014. The Lord Rothschild Collection, Christie’s, London, 30 June 1982, lot 32. Literature: Included in an inventory of the collection of Freiherrlich Carl von Rothschild at his house at No. 15 Untermainkai, Frankfurt. 127 Ditto (i.e. 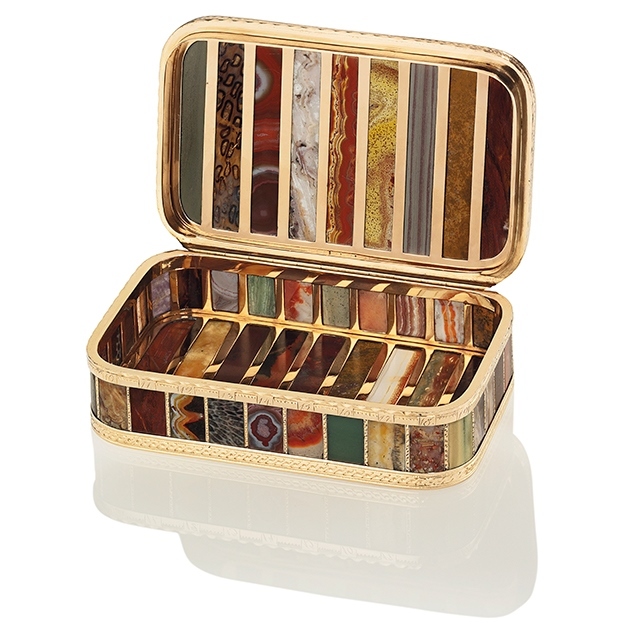 an oval gold and enamel box), ground in speckled tiger skin colour. Edges in polychrome enamel, the centre an enamel, suspended from a green ribbon, depicting ‘farewell scene of a Turk’. 8 cm long, 6 cm wide. Notes: Lord Rothschild’s collection of gold boxes was inherited principally from Baron Carl von Rothschild of Frankfurt. On Baron Carl’s death in 1886 his remarkable collection, housed in his mansion at Untermainkai in Frankfurt, was divided amongst his five daughters, the second of whom, Emma Louise, married Nathan Mayer, 1st Lord Rothschild. The boxes and other works of art, augmented by the inheritance of Lady Rothschild’s father-in-law, Baron Lionel de Rothschild, were housed at 148 Piccadilly. The contents of 148 Piccadilly were sold in 1937, but the boxes were retained by Lord Rothschild and subsequently sold in these rooms 30 June 1982. They formed an important group of the finest examples of the works of the great Paris goldsmiths of the 18th century and also exceptional boxes from Germany, Austria and Switzerland, and reflected both the range and quality of the taste for so long associated with the Rothschild family. See the essay by P. Shirley , ‘The Rothschilds as Collectors of Gold Boxes‘ in ed. T. Murdoch and H. Zech, Going for Gold , London, 2014, pp. 236-7. We are grateful to the Rothschild Archive for allowing access to the Untermainkai inventory. 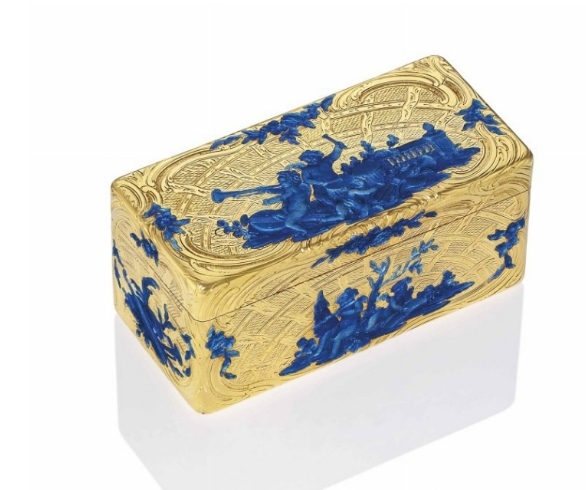 The auction also features a spectacular Swedish enamelled gold snuff-box by Paul Gerhard Zachoun (estimate: £100,000-120,000) offered directly from a descendent of Charles Louis Fouché, 6th Duc d’Ortrante. Swedish gold boxes displaying this standard of quality rarely come to market and this is an exceptional example of the craft that existed among the very few goldsmiths that were working in Stockholm during this period. 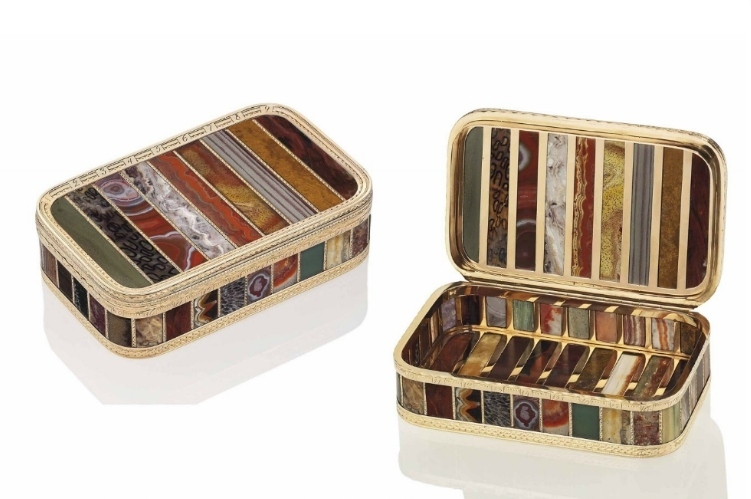 A spectacular Swedish enamelled gold snuff-box by Paul Gerhard Zachoun (Fl. 1753-1784), marked, Stockholm, 1764, from a descendent of Charles Louis Fouché, 6th Duc d’Ortrante. Estimate: £100,000-120,000 ($159,200 – $191,040). Photo: Christie’s Images Ltd 2014. Provenance: Charles Louis Fouché d’Otrante, 6th Duc d’Otrante (1877-1950). Thence by family descent to the present owner. 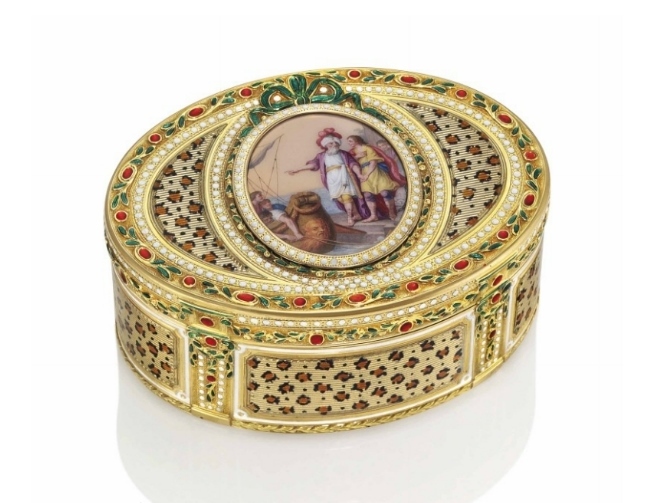 Notes: Another Swedish snuff-box by Andreas Almgren, Stockholm, 1759, with very similar chasing and basse taille enamel decoration is in the Rosalinde and Arthur Gilbert Collection on loan to the Victoria and Albert Museum, LOAN:GILBERT.329-2008. 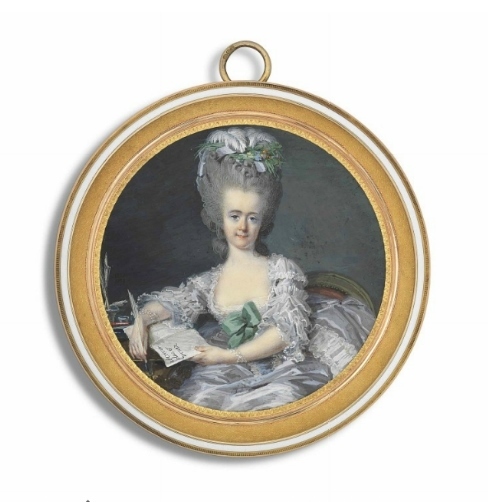 The use of basse taille enamels appears to have been popular in Stockholm during this period. Other examples of gold boxes which utilise the technique include boxes by Frantz Bergs, goldsmith to the King, Frederick Fabritius and Anders Zachoun. The process involves chasing or engraving metal in low relief and then applying translucent enamels to the design to produce a richness and subtlety of tones. Gold boxes made in Stockholm in the eighteenth century were particularly susceptible to the strong influence emanating from the goldsmiths of Paris. The high quality of their execution, the equal of many French boxes, show that the goldsmiths working in Sweden were clearly outstandingly skilled craftsmen. 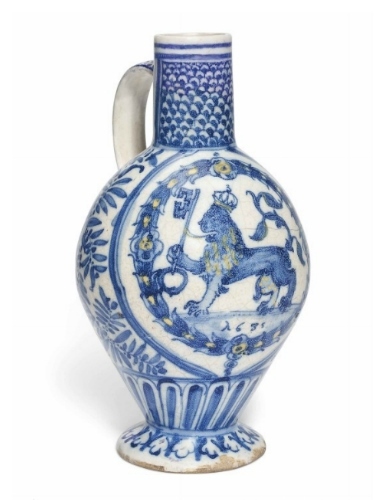 The European ceramics section offers a range of English and European pottery and porcelain including a Portuguese faience bottle dated 1635 (estimate: £4,000-6,000) and an unusual group of English delft drug-jars (estimate: £2,000-3,000). A Portuguese faience polychromed dated bottle, 1635, Lisbonne. Estimate: £4,000-6,000 ($6,368 – $9,552). Photo: Christie’s Images Ltd 2014. Notes: The present lot is an important addition to a small group of early 17th century Portuguese faience and appears to be the earliest dated piece of polychrome decorated Portuguese faience that we know of. Portugal became one of the leading trading centres through which Chinese porcelain was disseminated in Europe from the late 15th and 16th centuries. Some of the earliest porcelain commissioned by Europeans in China include pieces decorated with the coat-of-arms of King Manuel I and the Portuguese royal coat-of-arms. Portuguese naval and trading dominance was not to last however, following the rise of the Dutch East Indies Company (the V.O.C.) in the early 17th century. The V.O.C. transported large quantities of Chinese blue and white porcelain to Europe, dominating trade in the East. Portuguese potters took this as an opportunity to produce their own unique interpretations in faience using traditional motifs from Chinese Wanli and Transitional period blue and white porcelain. Motifs such as Buddhist emblems, ‘precious objects’ and stylised flowers and foliage were used by Portuguese potters in combination with exotic animals and coats-of-arms intended for a European market. 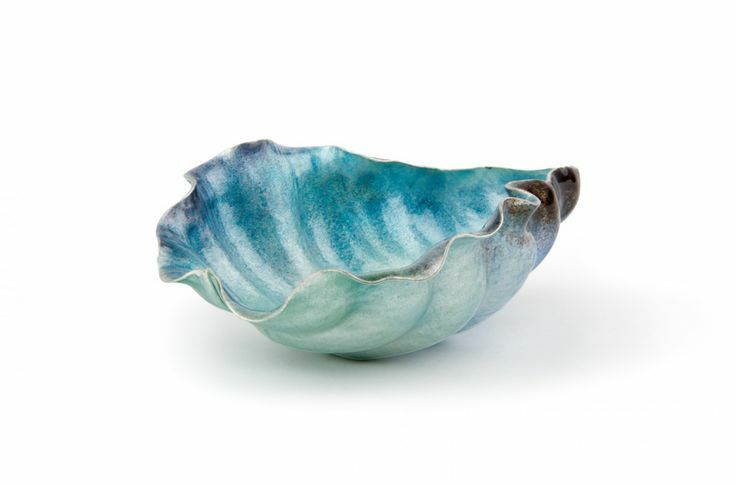 The earliest recorded piece of Portuguese faience is a bowl, dated 1621 in the collection of the Museu Nacional de Soares dos Reis, Porto which is decorated in blue with panels of flowers and Chinese scrolls, see João Pedro Monteiroet. al., Oriental Influence on 17th Century Portuguese Ceramics, Exhibition Catalogue, Museu Nacional do Azulejo, Lisbon, 20 July – 16 October 1994, p. 60, Cat. No. 6. The present lot predates the earliest recorded piece of Portuguese polychrome faience, a ewer dated 1638, see João Pedro Monteiro et. al., Ibid., 1994, p. 102, Cat. No. 55. 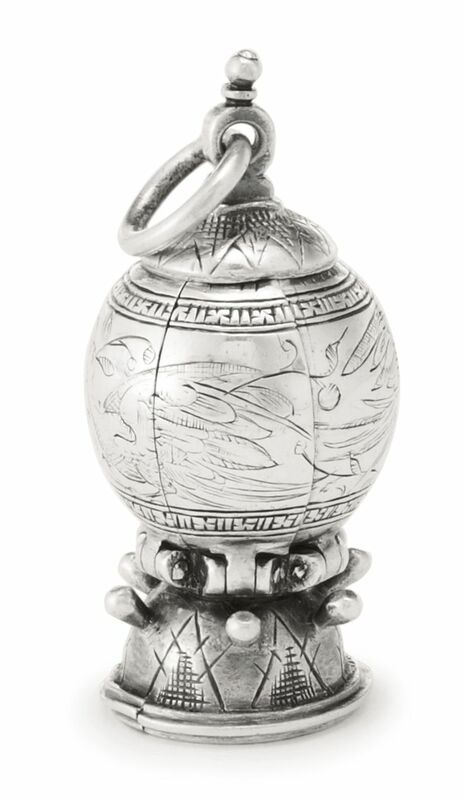 A pewter-mounted armorial bottle of similar form is illustrated by Annika Martens, Porzellan, Fayence, Majolika, Berlin, 2012, p. 391, table XXXI. The crowned lion passant holding a key appears to be unrecorded. The lion motif is used as both a decorative and armorial device on Portuguese faience and can be seen on faience decorated with the arms of the Da Silva family and other noble Portuguese families. 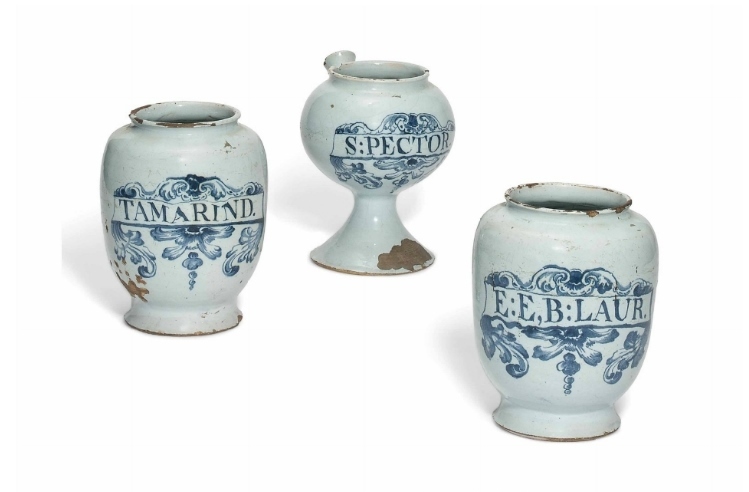 Three English Delft blue and white drug-jars, circa 1760, probably London. Estimate: £2,000-3,000 ($3,184 – $4,776). Photo: Christie’s Images Ltd 2014. 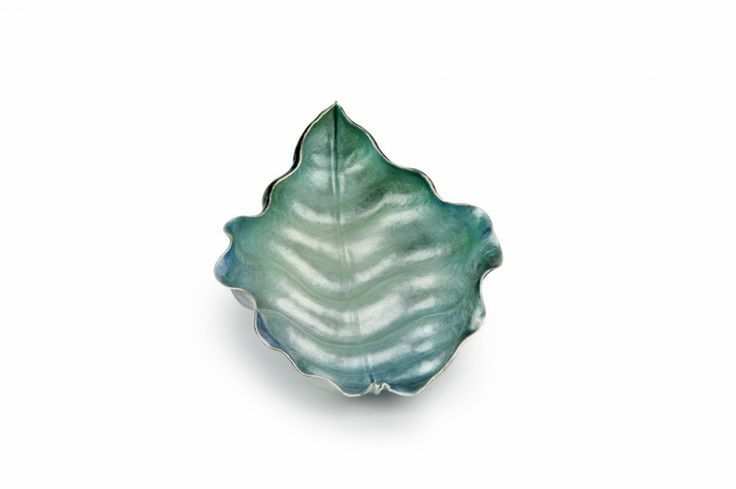 The sale also includes a collection of colourful trompe l’oeil English porcelain boxes (estimates ranging from £1,000-1,500 to £5,000-8,000) and a group of boldly decorated botanical wares (estimates ranging from £2,500-4,000 to £3,000-5,000). 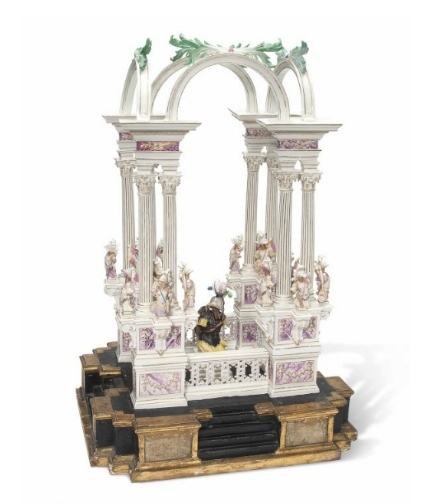 Exemplifying the quality and breadth of extraordinary ceramics in the sale is a spectacular Meissen temple table centerpiece, circa 1750 (estimate £30,000-50,000), which is a very rare survival. This classical temple made from porcelain is decorated with military trophies which likely allude to the original owner’s military success. By the second quarter of the 18th century porcelain had replaced sugar as the material of choice for table decorations as it was suitably expensive but more durable. Previously sugar-paste was moulded to create all manner of table decorations including figures, temples and even gardens and carriages. Centerpieces were usually designed to mark important state or ceremonial occasions, and they frequently depicted mythological or military themes. A Meissen temple table centerpiece, circa 1750 and later, blue crossed swords marks, one section with blue crossed swords, star and ii mark, three balustrades with incised letters, the wooden base perhaps 19th century. Estimate: £30,000-50,000 ($47,760 – $79,600). Photo: Christie’s Images Ltd 2014. Notes: The role of the porcelain centrepiece in 18th century Germany was to impress and it would have formed the central part of the table decoration for a grand dinner or celebration, particularly for the dessert. The centrepiece would have been flanked by a series of figures, groups, flowers, fruit and architectural features made from an endless variety of materials and forming an elaborate display down the centre of the table. See Ulrich Pietsch and Claudia Banz (ed. )Triumph of the Blue Swords Meissen Porcelain for Aristocracy and Bourgeoisie 1710-1815, Dresden, 2010, p. 127, for a drawing of the ‘Confect Aufsaz zur Mittags Taffel’ showing the design for the dessert mounted in Warsaw on 8th February 1736 for the celebration of Empress Anna Ivanova’s birthday (this and further drawings are held in the Sachsisches Hauptstaatarchiv, Dresden). The Hof-Conditorey or Court pantry was responsible for the table decorations at the Saxon Court and they specialised in both designing and producing the ceremonial dessert. Alongside a skilled team of chefs they produced spectacular pastillage table decorations, see Maureen Cassidy-Geiger, ‘Hof Conditorei and Court Celebrations in 18th century Dresden‘, International Ceramics Fair Catalogue, London 2002, pp. 20-35 for a full discussion. Originally central table decorations had been produced in sugar or a sugar based dough and the skill of the chefs was a long standing tradition in the European courts but it was not until 1744-48 that Meissen figures were used on the table and these proved more durable than their sugar counterparts. The earliest porcelain temples were commissioned around 1727-1728 as decoration for the interior of the Japanese Palace. They were almost certainly inspired by the Temple of Venus erected in the Grosser Garten in Dresden in 1719 during the Venus festival for the wedding of the son of Augustus the Strong, the Crown Prince Augustus to the Hapsburg Princess Maria Josepha, daughter of Joseph I of Austria, held on 23 September 1719. These wedding celebrations were very influential across Europe and formed the basis for celebrations twenty years later for their own children. For a full discussion of porcelain temples and their uses see Patricia F. Ferguson, ‘Felbrigg’s folly: the Meissen ‘Temple of Honour’ in Dresden,’ Apollo supplement, Historic Houses and Collections Annual, 2010, pp. 12-17. Porcelain temples were first documented for use as Tafel-Aufsatz in 1747 for the wedding celebrations of Augustus III’s children. The first example mentioned is in an account of the state dinner held to mark the marriage of Princess Maria Josepha of Saxony to the Dauphin of France in early 1747. The temple was dedicated to Apollo and set in a classical landscape with allegorical figures and the temple’s porcelain columns alluded to Versailles and the French royal court. Two more of Augustus III’s children were married the same year and both celebrations involved temples: for Maria Anna Sophia and Elector Maximillian III Joseph, Duke of Bavaria a temple dedicated to Diana which included trophies of arms and quivers, and for the third wedding of the Crown Prince, Friedrich Christian to Maria Antonia of Bavaria a pagan temple was created. Patricia Ferguson ibid., 2010, pp. 12-17 discusses the centrepiece formerly at Felbrigg Hall, Norfolk and now in the Porzellansammlung, Staatliche Kunstsammlungen, Dresden, which is related to the present example by the similarity in construction of the columns and bases and with the military torsos on the pedestals before the columns. These torsos of ‘Armaturen’, perhaps resembling the military trophies on the present lot, are mentioned in the 1748 inventory of the contents of the Konigliche Hof-Conditorei. Few other porcelain temples are known. There is a spectacular example in the Museum fur Kunsthandwerk in Frankfurt, see Hermann Jedding, Meissener Porzellan des 18 Jahrhunderts, Munich 1979, p. 69, no. 132, modelled by Kändler in about 1750 and another in the collection of the Marquis of Bath, at Longleat, see Patricia Ferguson, ibid., 2010, p. 13. Elements of a temple closely related to the present lot formed part of the Gustav and Charlotte von Klemperer Collection and were sold by Bonham’s in London on 8 December 2010, lot 65; see also Schnorr von Carolsfeld, Gustav Klemperer Collection, Dresden, 1928, no. 498. 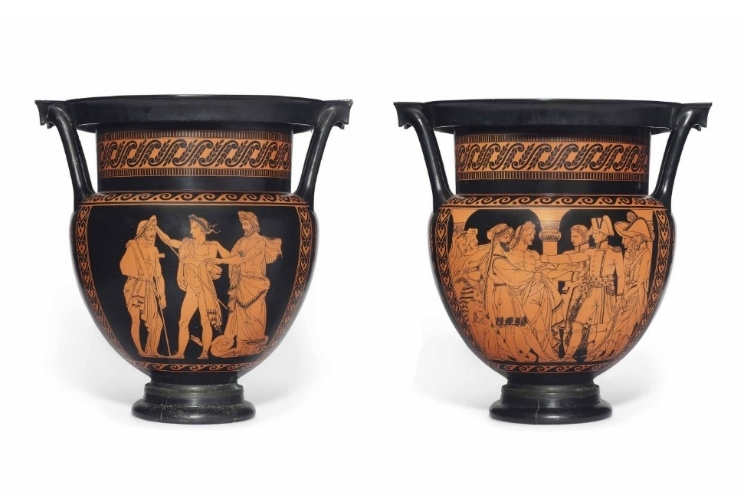 Additional star lots from this category include an important and exceptionally rare Sèvres Etruscan style vase from 1807 (estimate: £60,000-80,000), which was given by Emperor Napoleon I to Prince Wilhelm of Prussia in 1808. Napoleon sent the vase as an act of diplomacy after the signing of the Treaty of Paris following Prussia’s defeat. It was painted by Pierre-Nolasque Bergeret and his Etruscan style decoration refers to Napoleon’s military success in Egypt and Syria between 1798 and 1801. An important piece of Imperial propaganda, the vase portrays in Napoleon in the guise of Asclepius, the Greek God of medicine, endowing himself with the power to heal the people of the city of Jaffa. A Sèvres two-handled Etruscan -style vase (Vase Etrusque ‘à Larmier’), 1807, printed red M. Imple/de /Sèvres twice to underside of foot, neck incised No. 15. Estimate £60,000 – £80,000 ($95,520 – $127,360). Photo: Christie’s Images Ltd 2014. Provenance: Given by Emperor Napoleon I to Prince Wilhelm of Prussia on 15 September 1808. Probably acquired by Prince Frederick Emil August of Schleswig-Holstein-Sonderburg-Augustenburg, Prince of Noër (1800-1865) or by his son Prince Frederick Christian Charles August, Count of Noër (1848-1912), Schloss Noër, Eckernförde, Germany. Pierre-Nolasque Bergeret (1782-1863) was the artist responsible for the design and decoration on this vase and the original pen and ink drawings by him from the series ‘Bonaparte et la campagne d’ Egypte’ are in the Sèvres archives. Both drawings are signed; ‘Les pestiférés de Jaffa’ is dated 1805 while ‘Bonaparte remet un blessé aux Soins d’Esculape’ is dated 1804. The painters’ work records of 1807 under ‘Mr. Bergeret Peintre’ record two separate entries for the vase. The first in February: ‘1 Vase Etrusque Denon porcelaine peinte des sujets Egyptiens’, for which he received 200 livres, and the second recorded in September of the same year ‘1 Vase étrusque…Denon pour deux sujets de figure au traits noir représentant un sujet de la campagne d’Égypte et un alégorie, Vu et mémoire livré fin de septembre 1807.‘, for which he was paid 350 livres which included payment for the decoration of eleven plates in the same month (Vj’14, under the year 1807, p. 116). Bergeret was a painter, pioneer lithographer and designer who studied with Jacques-Louis David. He was born in Bordeaux but moved to Paris where he worked in the atelier of François-André Vincent and met Ingres. He is recorded as working at Sèvres in 1806, 1807 and 1811. A large closely related Sèvres vase ‘à Bandeau’ also painted by Bergeret in the Attic style entered the sales registers on 21 April 1806 and was delivered to Château de Saint-Cloud for the Emperor on 4 May of that year. It is decorated with similar Etruscan-style scenes depicting Napoleon in an Etruscan guise leading the Battle of Austerlitz in a chariot. Bergeret received 300 francs for his ‘Etruscan drawings of the conquest of Germany’ and a further modest payment for the decoration of the vase itself. By 30 April 1805 Bergeret had produced three ‘Egyptian’ designs for the Sèvres manufactory, two of which are likely to be the design source for the present vase, and he continued to work sporadically for Sèvres until 1814 when he stopped decorating porcelain. For the ink and watercolour drawing of the Allegory of the Battle of Austerlitz by Bergeret, 1806, see Tamara Préaud, The Sèvres Porcelain Manufactory, Alexandre Brongniart and the Triumph of Art and Industry, 1800-1847, Bard Graduate Centre, New York, 1997, p. 180, fig. 14 and p. 84, figs. 6-10 for the Sèvres vase ‘à Bandeau‘, now in the Musée de Malmaison. The fashion for Etruscan-inspired decoration was first seen at the Sèvres manufactory in 1785 but it was so successful that it continued to be adapted for Imperial propaganda purposes during the Empire period. Napoleon’s military successes in Egypt and Syria (1798-1801) which are referenced on this vase were used to propagate Napoleon’s Imperial powers and in combination with a classical form lend an antique ‘authenticity’. Very few pieces of Sèvres porcelain in this Attic-style exist and it is also exceptionally rare to see depictions of Napoleon in the guise of Greek God. In this case in the scene ‘Bonaparte remet un blessé aux Soins d’Esculape’ he associates himself with Asclepius, the Greek god of medicine, endowing himself with the power to heal. Tamara Préaud records Alexandre Brongniart’s comment that ‘this sort of painting is not rich, but it is severe, monumental, and the only kind that can be executed quickly,’ see Tamara Préaud, ibid., 1997, p. 84, note 52. The scene depicting Napoleon visiting the plague stricken city of Jaffa is probably inspired by a painting of the same subject in the Louvre which was commissioned in 1804 by Napoleon from Antoine-Jean Gros and shows Napoleon in Jaffa on 11 March 1799, when the General Bonaparte made a daring and spectacular visit to his sick soldiers. Prince Wilhelm of Prussia (3 July 1783 – 28 September 1851) had a distinguished military and diplomatic career. He served in the Guards from 1799 and was present at the battle of Auerstädt on 14 October 1806. After the Prussian defeat by the Napoleonic armies and a demand by France for full payment of war reparations a desperate King Frederick Wilhelm III of Prussia sent his brother Prince Wilhelm to Paris to plead his case for him with Napoleon in a bid to reduce the war burdens imposed upon his country. The Prince had his first audience with the Emperor on 8 January 1808 and is said to have offered himself and his wife as hostages for the payment of the debt. An astonished Napoleon is believed to have replied ‘That is very noble but I cannot accept, never, never’. On 23 February they met again, Napoleon having employed delaying tactics to put off the meeting. Prince Wilhelm used his time to study the French army and wrote some valuable reports on the topics of education and training. On 8 September 1808 the Treaty of Paris was signed; it marked the most humiliating point of Prussia’s history. On 7 October Prince Wilhelm shared a coach with Napoleon as they travelled to Erfurt, Weimar and Jena. This gift from the Emperor Napoleon to the Prince seems unusual given the circumstances but perhaps was intended to mark a mutual respect and admiration as the two men sought to maintain a relationship, one as the victor, the other representing a nation defeated. The Sèvres archives first records the vase Etrusque ‘a larmier’ in 1804 though the designer is unknown. 1. See Vbb: Présents et ventes à crédit, mentioned in the register Vbb 2: crédit au gouvernement, an 8-1810, p. 87. Other than the two vases Etrusque the delivery to the Prince comprised: ‘2 Vase Clodian…1 cabaret de 16 piecès fables de la Fontaine…1 cabaret a ‘café’ de 15 piecès vert et chrome…I Buste de l’Empereur Napoleon, couranne en bronze’ at a total cost of 19,270 livres, see sales register, Vbb: Présents et ventes à crédit’, Vbb 2: crédit au gouvernement, an 8-1810, p. 89. Presenting 134 portrait miniatures including royal sitters such as King Louis XIV, Napoleon II, King Charles X and King Louis XVIII of France, this remarkable offering displays the artistry of some of the most prominent names in portraiture including Jean-Laurent Mosnier, Ferdinando Quaglia, François Dumont, John Smart, George Engleheart and Richard Cosway, R.A. Of exceptional interest is a charming array of English miniatures, last seen on the market in the 1940s. The collection is led by John Smart’s portrayal of Richard Edgcumbe, 2nd Earl of Mount Edgcumbe (estimate: £12,000-18,000). Edgcumbe was a member of the society Antiquaries and a keen performer, best known for his involvement in theatre and opera, and as a result inspired one of the characters depicted in Zoffany’s Tribuna of the Uffizi. 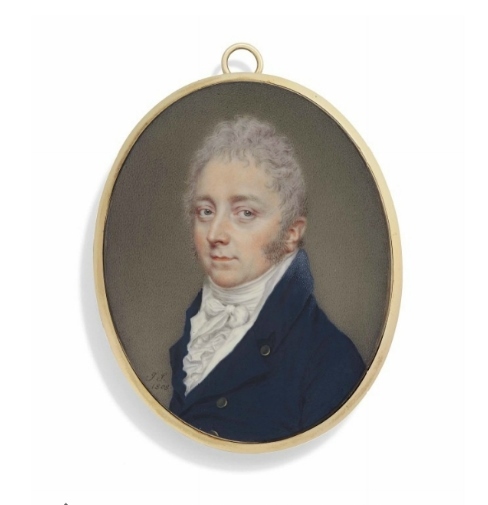 Additional outstanding examples include a portrait miniature of a young lady by the French artist Frédéric Dubois (estimate: £15,000-25,000), painted during the artist’s sojourn in Russia between 1804 to 1818 and a lady writing a letter by French artist Jean-Laurent Mosnier (estimate: £15,000-25,000), from the celebrated collection of Félix Panhard. John Smart (British, 1741-1811), Richard Edgcumbe, 2nd Earl of Mount Edgcumbe (1764-1839), in blue coat with brass buttons, white cravat. Estimate: £12,000 – £18,000 ($23,880 – $39,800). Photo: Christie’s Images Ltd 2014. Provenance: Thomas Hugh Cobb; (\+) Sotheby’s, London, 12 October 1944, lot 33 (£72 to Papier). Mikel Papier (1889-1948) Collection, and by descent. Literature: D. Foskett, John Smart. The Man and his Miniatures, London, 1964, p. 71. Notes: The sitter was the son of George Edgcumbe, 1st Earl of Mount Edgcumbe and Emma, daughter of John Gilbert, Archbishop of York. He was a member of the Society of Antiquaries and a keen actor. By the time this miniature was painted Edgcumbe’s opera, Zenobia, had been produced at the King’s Theatre, London (1800). He was also author of the popular text Musical Reminiscences of an Old Amateur chiefly respecting Italian Opera in England 1773 to 1823(1825). In the year the present portrait was painted he served as Captain of the Honourable Band of Gentlemen Pensioners, a position he held until 1812. Also in 1808 he became a member of the Privy Council and was elected a Fellow of the Royal Society. He is depicted in Zoffany’s ‘Tribuna of the Uffizi’. Edgcumbe’s family seat was Cotehele in Cornwall, now a National Trust Property. Frédéric Dubois (French, FL. 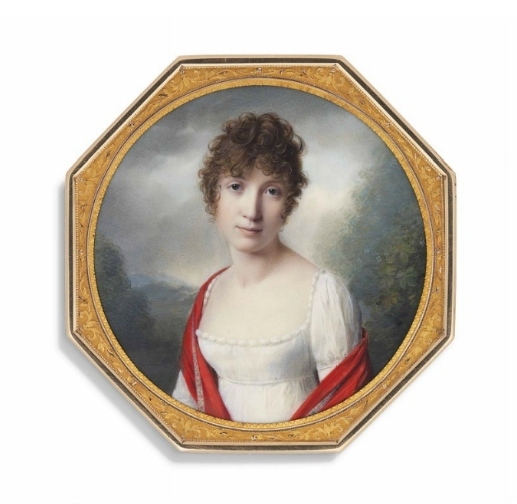 C. 1780-1819), A young lady, in décolleté white dress, red Cashmere shawl draped around her shoulders, curling dark hair. Estimate: £15,000-25,000 ($23,880 – $39,800). Photo: Christie’s Images Ltd 2014. Signed ‘Dubois’ (lower left). On ivory; 71 mm. diam., octagonal gold mount. Provenance: Paul A. Scholz Collection, Berlin; Lempertz, Cologne, 24 November 1976, lot 28. Christie’s, London, 22 November 1999, lot 194. Notes: The present miniature is a superlative example of the artist’s period in Russia from 1804 to 1818. Jean-Laurent Mosnier (French, 1743/1744 – 1808), A young lady, seated on a red upholstered chair writing a letter, in pale lilac dress with frilled sleeves, peppermint green bow at corsage, ostrich plumes and foliage in her powdered upswept hair, a quill in her right hand and a letter inscribed ‘n’écrivez / plus et / venez’, a quill and inkstand on the table to her right. Estimate: £15,000-25,000 ($23,880 – $39,800). Photo: Christie’s Images Ltd 2014. Signed and dated ‘mosnier / 1778’ (mid-left). On ivory; 68 mm. diam., in silver-gilt réverbère frame with white enamel border, burgundy moiré silk reverse stamped in gold ‘MOSNIER / 1778’. One of the backing cards with the collection label of Alphonse Maze-Sencier (1831-1892). Provenance: Alphonse Maze-Sencier (1831-1892) Collection, in 1885. His sale, Paris, Hôtel Drouot,19-20 March 1886 (then on a box, sold 2,900 Gold Francs). Leboeuf de Montgermont Collection, sold Paris, Galerie Georges Petit, 25 May 1891, lot 103 (4,500 Gold Francs). Félix Panhard (1842-1891) Collection, Paris. Thence by family descent until sale of the Panhard Collection, part I, Palais Galliéra, Paris, 5 December 1975, lot 135 (17,000 FF). Literature: A. Maze-Sencier, Le Livre des collectionneurs, Paris, 1885, p. 543 (praised as ‘délicieux portrait‘ and ‘portrait séduisant‘). L. R. Schidlof, Die Bildnisminiatur in Frankreich im XVII., XVIII. und XIX. Jahrhundert, Vienna and Leipzig, 1911, pp. 37-38. J.-E. Darmon, Dictionnaire des peintres miniaturistes sur vélin, parchemin, ivoire et écaille, Paris, n.d. [ca. 1925], p. 89. E. Bénézit, Dictionnaire critique et documentaire des peintres […], Paris, 1976, p. 565 (mentioned twice). N. Lemoine-Bouchard, Les Peintres en miniature actifs en France 1650–1850, Paris, 2008, p. 393. Exhibited: Paris, Bibliothèque nationale, Oeuvres d’art du XVIIIe siècle, 1906, no. 367 (lent by Hippolyte Panhard). 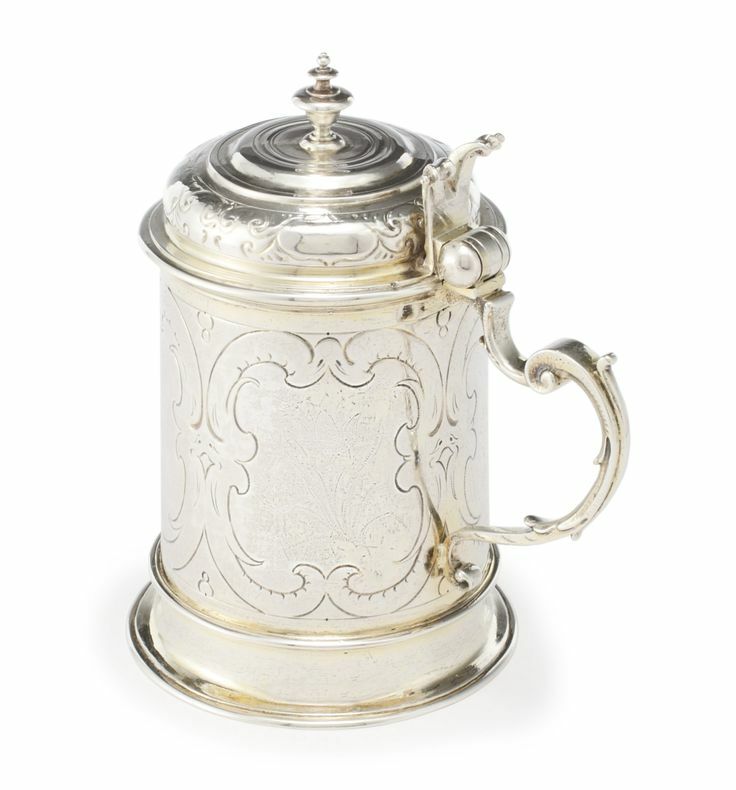 A spectacular assembly of over 180 pieces of silver is led by two important collections. 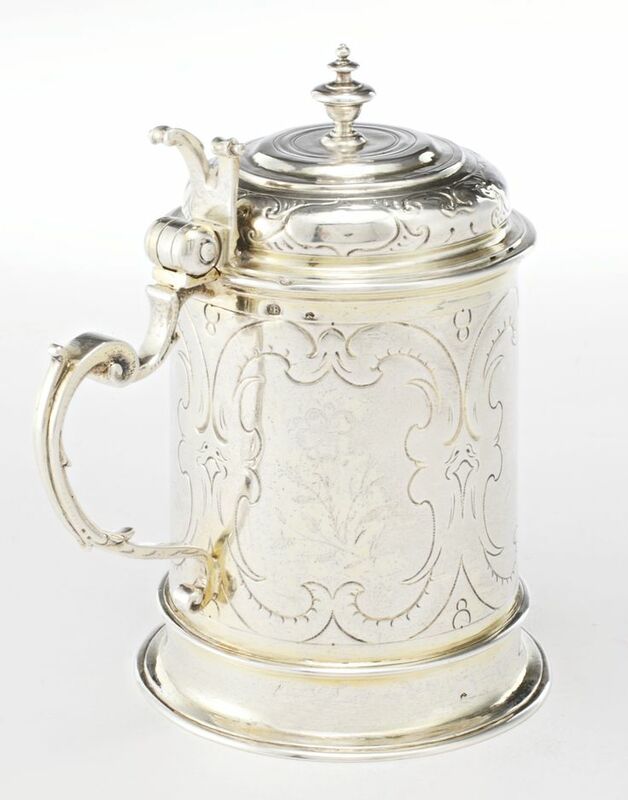 The first presents an enduring tale of friendship marrying together two inspiring collections, whereby the silver collected by Gregory de Ligne Gregory (d.1854), a wealthy Lincolnshire landowner, was bequeathed to his friend Sir Glynne Earle Welby 3rd Bt. Gregory’s passion for the Baroque style and his search for the historic resonate throughout the collection. 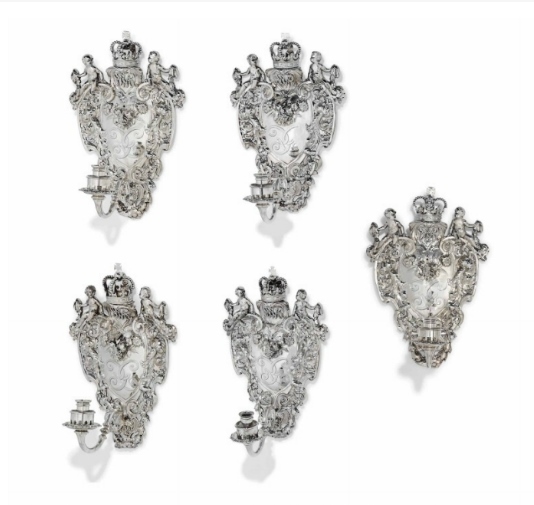 Seeking works with superior provenance, the lots offered include a pair of silver sconces by the Augsburg silversmith Peter Rahm (estimate: £30,000–50,000) along with two sets of four wall sconces originally from the Royal Collection (estimates: £50,000–80,000). A pair of German silver wall-sconces, Mark of Peter Rahm, Augsburg, 1713-1717. Estimate: £30,000 – £50,000 ($47,760 – $79,600). Photo: Christie’s Images Ltd 2014. Sir Glynne Earle Welby-Gregory 3rd Bt. (1806-1875) and then by descent. Notes: Born in Hamburg in 1661, Peter Rahm became a master in 1694 and married Susanna Pepfenhauser in the same year. Rham’s recorded works are nearly all sconces. Lorenz Seling records an early set of six made between 1692 and 1697, now in the Schatzkammer der Hohen Domkirche, Cologne. A silver gilt sconce of 1717-1721 and a set of four of 1729-1733 at Schloss Pillnitz (inv. nos. 46 776 and 36 430- 36 433). A pair of 1729-1733 are in the collection of the Kunstgewerbemuseum, Dresden (Inv. No. 36 434 and 42 222). 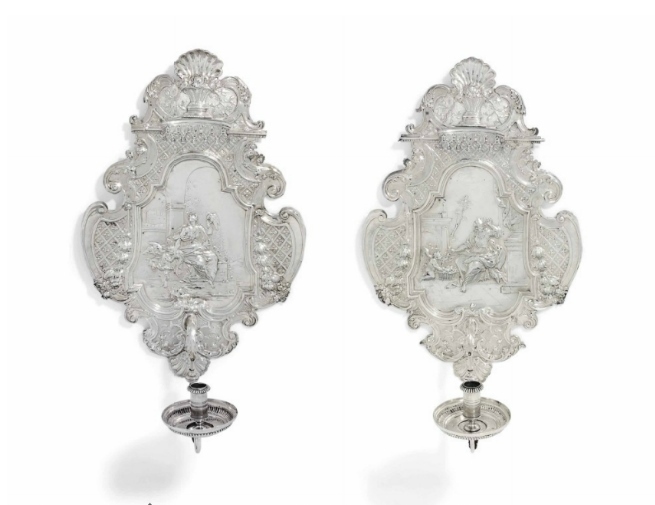 Two pairs of sconces by Rahm sold, The Moritzburg Treasure: Silver and Works of Art from the Royal House of Saxony, Sotheby’s, London, 17 December 1999, lots 64 and 65. A Set of four William and Mary silver wall-sconces, apparently unmarked, circa 1686-1690, perhaps adapted by Rundell Bridge and Rundell after 1823, the branches with mark of Robert Garrard, London, 1850. Estimate: £50,000 – £80,000 ($79,600 – $127,360). Photo: Christie’s Images Ltd 2014. Provenance: Ordered for Queen Mary (1662-94) by Royal Warrant either 12 March 1686 as part of ‘seaven new silver sconces with two socketts’ or 5 September 1686 as part of ‘three new silver sconces of the same manner and largesse as the other seven’ or for King William III and Queen Mary 20 September 1689 as part of ‘five acorn sconces of the fashion as those that were made therefore’ or a final pair delivered the following September. Used to furnish the Queen’s Drawing room at Whitehall Palace and later the velvet draped bedchamber at Whitehall Palace where the Queen lay in state in 1694 (PRO LC9/46 11 February 1694/5). In the Jewel House of the Royal collection until 1812 when they were ‘taken to Carlton House… for the Prince Regent to see’ (PRO LC9/351, f.1). Presumably among those sold to Rundell, Bridge and Rundell 1816-17 along with at least eight other sconces from the set and other plate totalling 4,286 oz. as part payment for a service of plate for Princess Charlotte of Wales (1796-1817) (PRO LC9/351, f.91). Notes: This set of four sconces, known as the ‘Oken‘ or Acorn sconces after the distinctive outer border which the present pair, and others from the series now lack, are from a set of similar examples ordered between 1686 and 1689 by William and Mary. They are discussed by Matthew Winterbottom in Royal Treasures A Golden Jubilee Celebration, London, 2002, p.255-256, no.175. 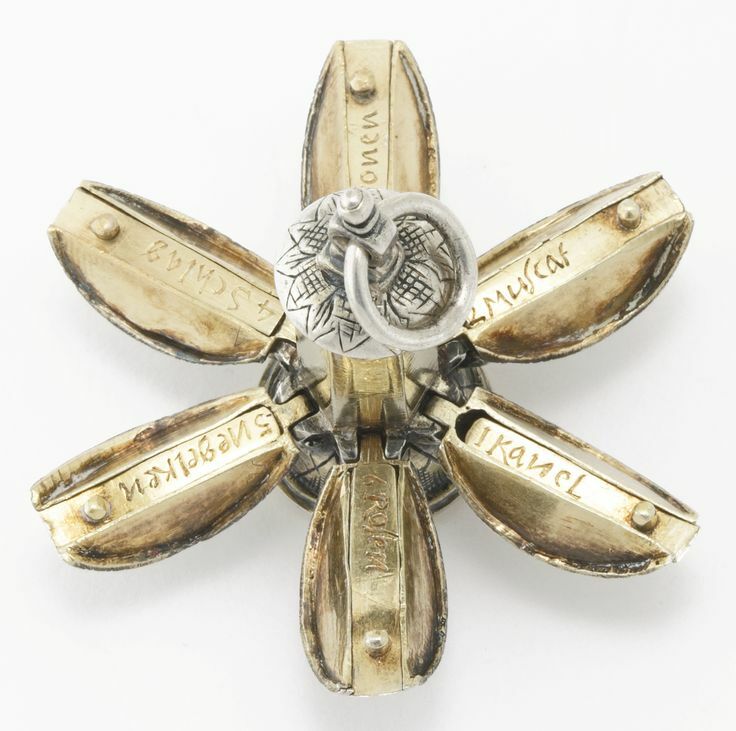 Other known examples include a set of four in the Royal Collection, which are each capped with a Royal crown and applied with the cypher of William and Mary. They were gilt and improved by Rundell, Bridge and Rundell in 1816 at the request of the Prince Regent, later King George IV. A set of eight, which like the present examples are missing their oak leaf and acorn festoons, and each with an added second branch by Robert Garrard, 1856, that formed part of the Sneyd Heirlooms which were sold in 1924, passed through the collection of William Randolph Hearst and are now in the Collection of Colonial Williamsburg (J. Davis, English Silver at Williamsburg, Virginia, 1976, pp. 15-17, cat. no. 2) and a pair sold Christie’s, London, 10 June 2008, lot 253. The sale will also feature a selection of extraordinary spoons as part of The Runnymede Collection. Many of the lots have notable provenances such as the 2nd Earl of Warrington along with the Ellis, Biggs and Patterson collections and have been sourced from across the globe through auctions and specialist silver dealers including the legendary spoon dealer and collector Mrs. How of How of Edinburgh. The wonderfully broad chronological range of spoons, dating from the 14th to 18th centuries, include all of the main types. Of special interest is the Romsey/ Ashburnham spoon, considered to be of the very few gold spoons to have survived, it is thought to be the earliest hallmarked example (estimate: £30,000-50,000). An additional highlight of the sale includes a Henry VII Parcel-Gilt Silver Apostle Spoon featuring St. John, 1498, (estimate: £30,000-50,000). Apostle spoons traditionally would have been made in groups of twelve, one to represent each apostle, to which the Master was added to make a set of thirteen. However, given the relatively small number of complete sets to have survived, it is likely that they were intended to be given as gifts, either individually or in pairs. 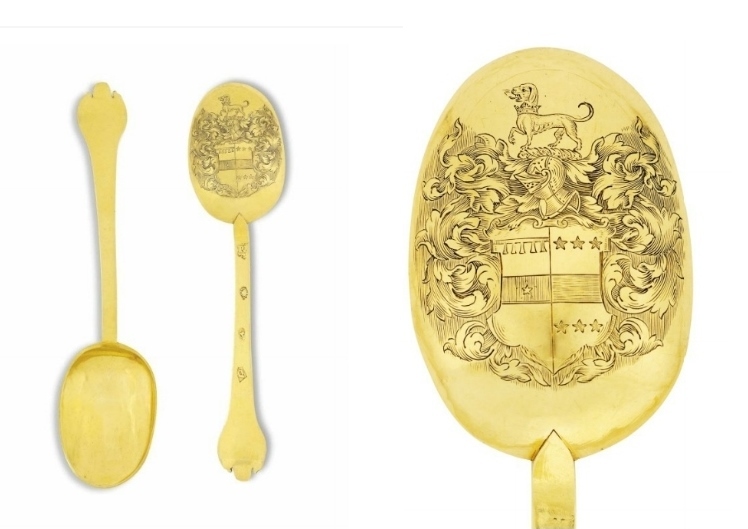 The Romsey/Ashburnham gold spoon, a Charles II gold trefid spoon, Mark of Robert King, London, 1681. Estimate: £30,000-50,000 ($47,760 – $79,600). Photo: Christie’s Images Ltd 2014. The arms are those of Romsey impaling Ashburnham for Colonel John Romsey (d.1689) and his wife Elizabeth (1641-1697), daughter of John Ashburnham (1656-1710), Groom of the Bedchamber of King Charles I. Elizabeth was the widow of Sir Hugh Smith, 1st Bt. (1632-1680), of Long Ashton, co. Somerset. She was married to Colonel Romsey on 3 August 1681. A Lady; Sotheby’s London, 25 July 1935, lot 38 (£245). Sir Andrew Noble, Bt., K.C.M.G., John Noble Esq. and Michael Noble; Christie’s London, 28 March 1962, lot 71 (£1,450 to Lumley). Nathaniel Mayer Victor, 3rd Baron Rothschild (1910-1990). A Gentleman; Christie’s, London, 20 November 2001, lot 17.
with J. H. Bourdon-Smith, December 2001. Literature: A. Grimwade, ‘A New List of Old English Gold Plate’, The Connoisseur, 1951, part I, p. 81, p. 79. Christie’s Review of the Season, London, 1961-62, p. 32. T. Schroder, ‘English Gold’, The Handbook of the Grosvenor House Antiques Fair, 1985, p. 9, fig. 1. M. Clayton, The Collector’s Dictionary of the Silver and Gold of Great Britain and North America, Woodbridge, 1985, p. 382, fig. 558a. T. Kent, ‘Gold’, The Finial, June/July 2002, p. 198. Exhibited: London, Victoria and Albert Museum, 1997-2000. Notes: Colonel John Romsey (d.1689) had been a colonel in Cromwell’s army but is chiefly remembered for being one of the Rye House Plot conspirators. In the Spring of 1683 it was alleged that William, Baron Howard, Arthur, Earl of Essex, Algernon Sidney, Lord William Russell, Sir Thomas Armstrong, Robert Ferguson and others planned to murder King Charles II and the Duke of York, later King James II, on their was back to London from Newmarket. Another of the group, Richard Rumbold (d.1685), who had also fought with Cromwell, had married the widow of a maltster and it was at their place of business, The Rye House, near Hoddesdon, Hertfordshire that they planned to attack the Royal party with forty men. It was through Rumbold that Romsey became involved with the group. The conspirators were betrayed by Howard. Russell, Sidney and Armstrong were each tried, convicted and beheaded. Essex is thought to have committed suicide while imprisoned in the Tower. Romsey together with Howard gave evidence against their fellow plotters and escaped prosecution. He later gave evidence against the London Alderman, Henry Cornish (d.1685), and it was his testimony, together with that of Richard Goodenough, that led to Cornish’s trial and subsequent execution in 1685. St. John, a Henry VII Parcel-Gilt Silver Apostle Spoon, London, 1498, maker’s mark a cypher. Estimate: £30,000-50,000 ($47,760 – $79,600). Photo: Christie’s Images Ltd 2014. Provenance: with Spink and Son, London, by 1976. Anonymous sale; Sotheby’s, London, 5 June 1997, lot 36. Literature: M. Snodin, English Silver Spoons, London, 1976, p. 19, pl. 3. H. Mallalieu, ‘Around the Salerooms’, Country Life, 31 July 1997, pp. 62-63, pl. 1. The apostle spoon is an example of the next development in pre-Restoration spoons with the appearance of a finial cast as a full figure. The earliest examples of this form are the Wodewose spoons, with finials cast with a wild man figure, which appear in the 13th and 14th centuries (The Benson Collection, Christie’s, London, 4 June 2013, lot 320, £85,875). Spoons with cast apostle finials were probably made as early as the 14th century, though the earliest examples which can be definitely dated are a number of examples, presumably once part of a set, which have London hallmarks for 1490 (The Benson Collection, op. cit., lot 329, £59,475). Traditionally they would have been made in groups of twelve, one to represent each apostle, to which the Master was added to make a set of thirteen, however, given the relatively small number of complete sets to have survived it is perhaps as likely that they were intended to be given as gifts, either individually or in pairs. Comparisons have been drawn between the finial on the present spoon, representing St. John, and the cast figure of St. John on a ceremonial instrument case, dated circa 1500, in the collection of the Worshipful Company of Barber Surgeons. Commander and Mrs How note that the cast figures on the case could easily be used as the finials on spoons (Commander G. E. P. How and J. P. How, English and Scottish Silver Spoons, Mediaeval to Late Stuart and Pre-Elizabethan Hallmarks on English Plate, London, 1953, vol. II, p. 36). 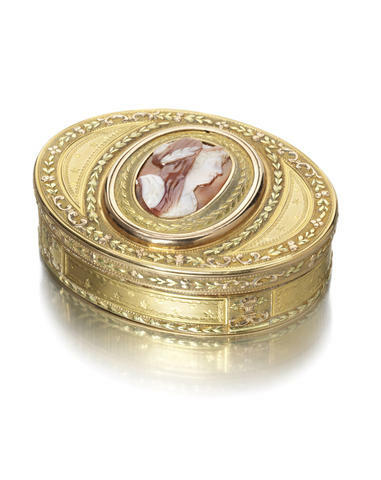 A Louis XV vari-coloured gold snuff box by Charles Dallemagne, Paris 1786. Estimate £8,000 – 12,000 (€10,000 – 15,000). Photo Bonhams. Ovoid form, the hinged cover now set with a carved agate cameo of Sappho within a yellow gold laurel border and rose gold frame flanked by lemon gold laurel sprays on a pelleted and stellar ground within a border of rose and lemon gold scrolls, foliage and flowers, the sides with a similar border above pelleted and stellar panels interrupted by floral basket pilasters, the underside similarly decorated, length 7.5cm, weight all-in 114gms. A Louis XV gold and enamelled box, by Jean Etienne Blerzy, Paris 1776. Estimate £12,000 – 18,000 (€15,000 – 23,000). Photo Bonhams. Rectangular with rounded ends, the cover and base each with a central Royal Blue guilloché panel within a white band and a translucent red and green enamelled laurel and berry border, the sides with a similar fruiting garland above Royal Blue guilloché panels separated by leaf and berry hung pilasters, length 9.2cm, weight all-in 106.5gms. A Louis XV gold, harsdtone, abalone, mother of pearl and silver-gilt mounted snuff box, By Antoine Daroux, Paris 1747. Estimate £20,000 – 25,000 (€25,000 – 32,000). Photo Bonhams. Rectangular, the cover set with a mother of pearl panel relief carved with a scene of a tented army camp inlaid with gold, agate abalone shell and stained mother of pearl to depict an officer being offered a drink by a maid from a barrel within a silver-gilt frame with wavy moulded edges, the side panels with similarly decorated mother of pearl panels depicting marshal trophies, the underside panel with an officer at rest under a tree surveying both inlaid and engraved rows of tents, height 4cm, length 8cm. Notes: The State Hemitage in St Petersburg holds a box by Etienne Trenel, Paris 1749-50, that has similarly moulded gold mounts and uses the same technique of relief decorated mother of pearl panels that are inlaid with further coloured mother of pearl, gold and hardstones, cat. no. 56 in Jewellery of France from the 18th to early 19th centuries(The State Hermitage Publishers 2012). 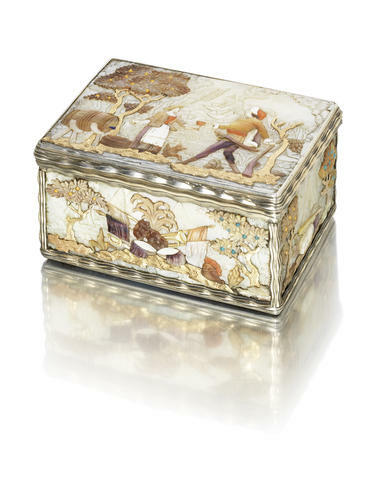 This box was also illustrated by Snowman, plates 240 and 240A, Eighteenth Century Gold Snuff Boxes (London 1990). The scenes depicted are Chinoiserie but the style and technique are almost identical, especially the leaf canopies of the trees. A box with almost identical military camp iconography was sold by the late Baron Maximilien de Goldschmidt-Rothschild and the Baronne de Becker, Sotheby’s Monaco, 29th November 1975, ex lot 136. The cover of the box has a scene of millers filling sacks of grain whilst the underside has the same three conical-form tents with a standing guard. 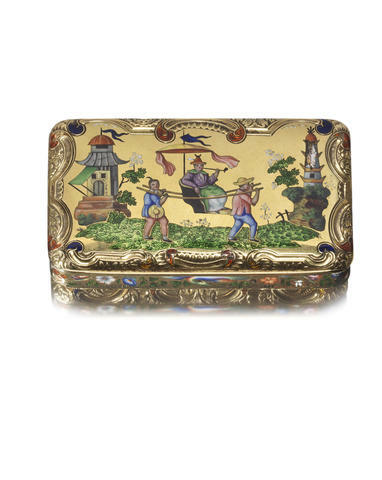 A 19th century Swiss « Oriental » market gold and enamelled snuff box, with later French marks. Estimate £4,000 – 6,000 (€5,100 – 7,600). Photo Bonhams. Rectangular, the cover finely decorated in painted champlevé and basse-taille enamel with a Chinoiserie scene of a potentate being carried in sedan chair under an umbrella on a grassy ground with pagodas in the landscape background within an engraved rocaille border heightened in blue and red enamel, the convex sides and underside profusely decorated in the similar with enamelled butterflies, birds and flowers including roses, convolvulus, carnations, passion flowers and forget-me-nots, length 6cm, weight 43.5gms. 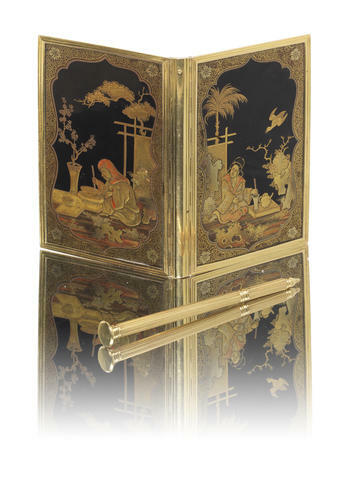 A Louis XV Japanese lacquer and gold mounted aide memoir. Estimate £15,000 – 20,000 (€19,000 – 25,000). Photo Bonhams. The reeded gold cage mount with hinged spine, each side set with a Japanese lacquered panel of gold hiramakie on a roiro-nuri ground the front with a Yamato Nadeshko, making tea beside a tsuitate; the reverse similarly decorated with a depiction of Hanasaka Jiji, silk lined interior with a paper almanac for 1727, with reeded gold pencil fitting within reeded loops to fasten, length 9.8cm. Note: Hanasaka Jiji: The Old Man who makes the dead trees flower. The story concerns an old man who sits under a dead tree with a box of ashes which he stirs with a rice mortar made from a tree trunk. The story is a cautionary tale about the envious neighbours who see the Old Man taking gold coins from the bowl, but who are unable to perform the same feat even when they steal the mortar. 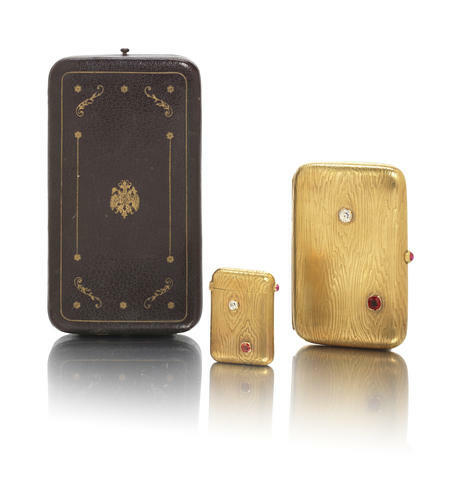 Imperial Austrian interest: A late 19th continental gold smoking set supplied by the Austrian Crown Jeweller A E Kochert, the cigarette case with post-1891 Viennese import mark (2). Estimate £1,500 – 2,500 (€1,900 – 3,200). Photo: Courtesy of Bonhams. 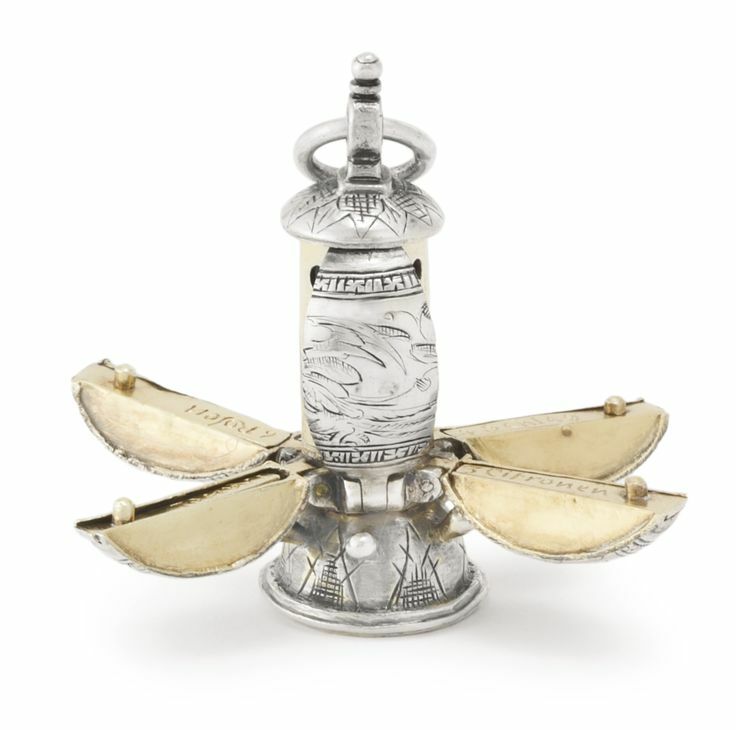 LONDON.- A smoking set given to the 9th Earl of Denbigh by Archduke Franz Ferdinand of Austria, whose assassination at Sarajevo in 1914 sparked the events which led to the First World War, is to be sold at Bonhams Fine Silver and Gold Boxes Sale in London on 12 November. It is one of several pieces by Viennese craftsmen in the sale. The smoking set, which is estimated at £1,000-1,500 and bears the engraving ‘From H I & R H The Archduke Franz Ferdinand of Austria, June 1897′ , was made by the Austrian Crown Jeweller A E Köchert. 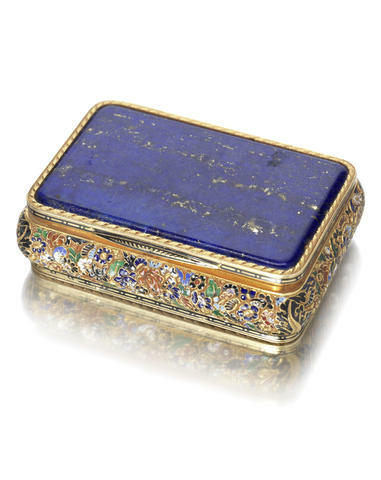 The firm had grown out of an initial partnership in the 1830s between Heinrich Köchert and Emanuel Pioté, the maker of another item in the sale – an 1826 rare lapis lazuli gold and enamelled snuff box which is estimated at £10,000-15,000. 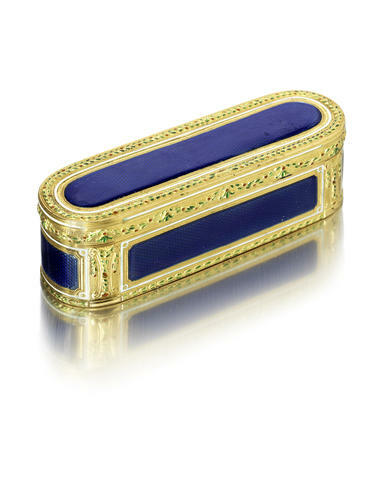 A rare 19th century Austrian lapis lazuli, gold and enamelled snuff box by Emanuel Pioté, Vienna, 1826. Estimate £10,000 – 15,000 (€13,000 – 19,000). Photo: Courtesy of Bonhams. Operating in Vienna at much the same time as A E Köchert’s was the firm of Ratzersdorfer established in the 1840s by Hermann Ratzersdorfer and continued by his son Julius. Hermann revived and perfected the art of cutting and polishing rock crystal which had reached its peak in Milan in the 16th century. 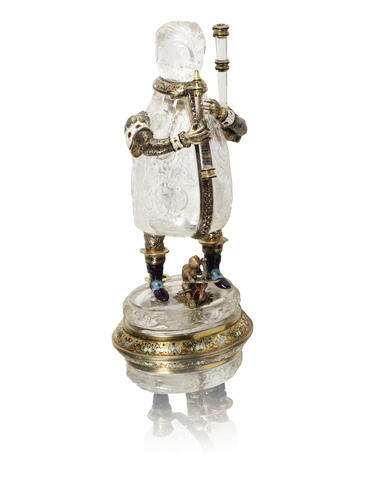 His work and that of his son is highly sought after and it is represented in the Bonhams sale by a magnificent pair of rock crystal and enamelled silver-gilt caricature model of musicians estimated at £50,000-70,000; a rock crystal and enamelled silver-gilt trefoil ewer and stand (£20,000-30,000) and a rock crystal silver-gilt and enamel model of a peacock. A near pair of 19th century Austrian rock crystal and enamelled silver-gilt caricature models of musicians, by Hermann Ratzersdorfer, Vienna, circa 1885. Estimate ££50,000 – 70,000 (€64,000 – 89,000). Photo: Courtesy of Bonhams. 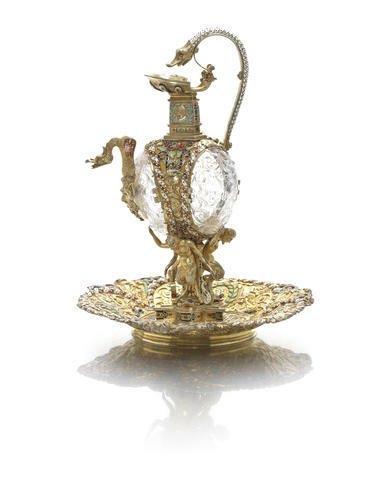 A 19th century Austrian rock crystal and enamelled silver-gilt trefoil ewer and stand, by Hermann Ratzersdorfer, Vienna, circa 1886-91. Estimate £20,000 – 30,000 (€26,000 – 38,000). Photo: Courtesy of Bonhams. A 19th century Austrian rock crystal, silver-gilt and enamel model of a peacock, by Hermann Ratzersdorfer, Vienna, circa 1886. Estimate £12,000 – 15,000 (€15,000 – 19,000). Photo: Courtesy of Bonhams. 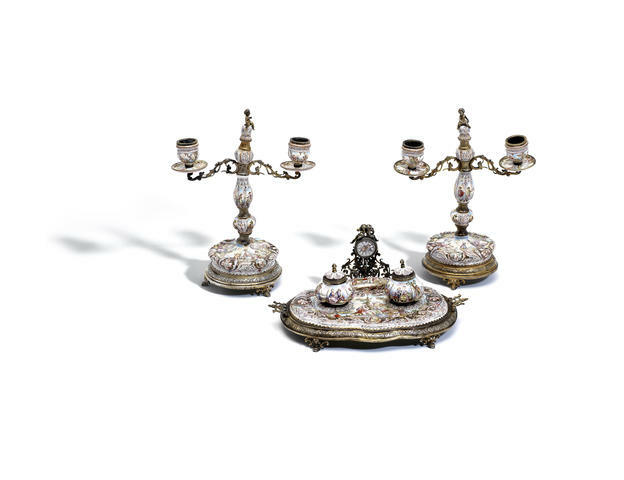 Finally, the sale also includes a silver and enamelled desk set of inkwell and candelabra by Leopold Weininger, described in his obituary notice in 1922 as ‘the last of the lineage of the great goldsmith, from the clan of Benvenuto Cellini.’ The set is estimated at £10,000-15,000. A 19th century Austrian silver and enamelled desk set of inkwell and candelabra, by Leopold Weininger, Vienna, circa 1883-86. Estimate £10,000 – 15,000 (€13,000 – 19,000). Photo: Courtesy of Bonhams. 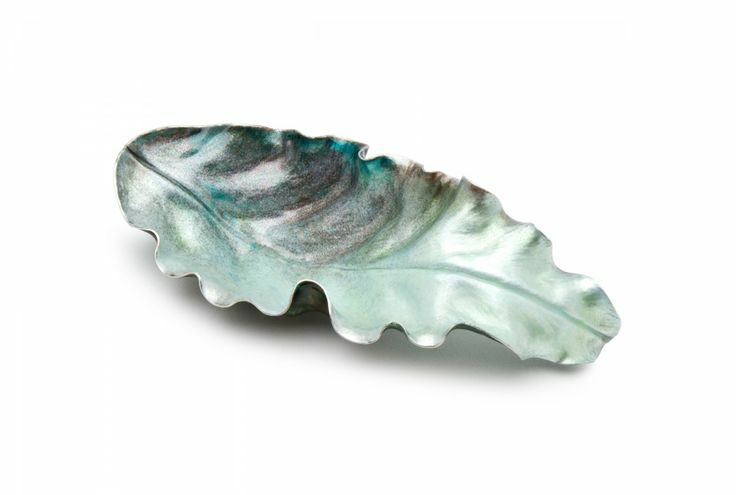 Full of vigour and tenacity, Theresa works silver sheets into exciting new forms capturing softness and fluidity in a seemingly unmoveable material. She looks with reverence to the mysteries and surprises of the natural world. 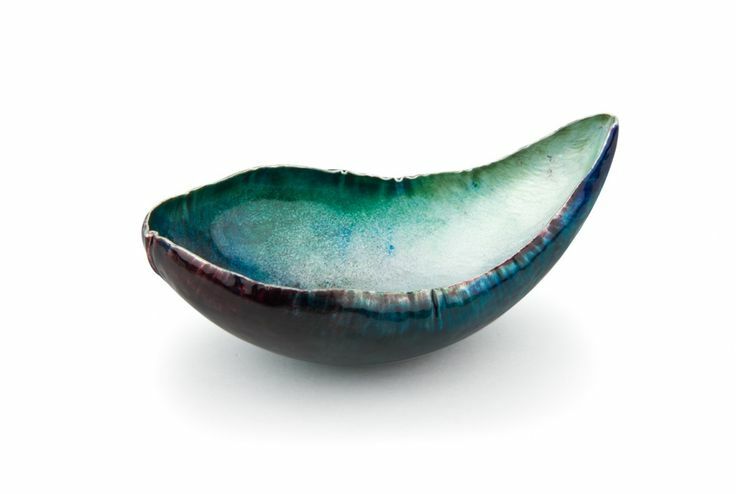 The vibrant sense of movements and life, radiates gentle waves of energy that she transfers into her objects in silver. 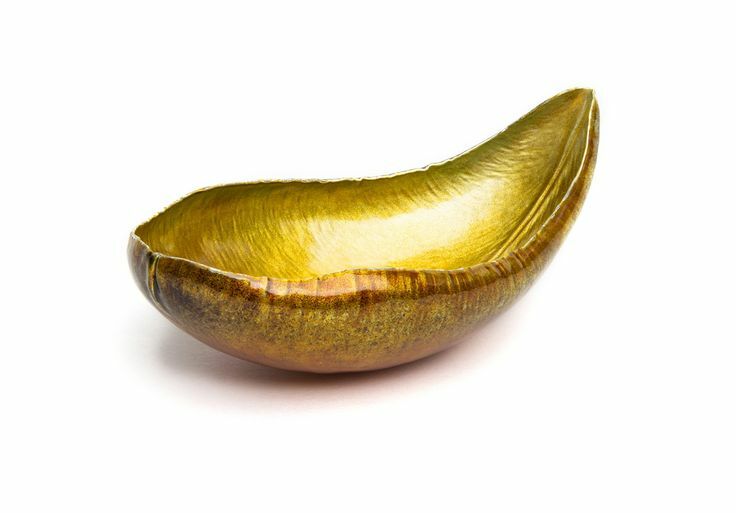 The exploration of fold-forming and hammering techniques result in sensuous surface textures and undulating forms. Her inquiry into material behaviour and processes continue to be the heartbeat of her work as much as her desire to celebrate making. Above all things, Theresa exalts in the joy and challenge of working to commission. It is her desire to bring to life for the commissioner, a personal piece that offers moments of reflection, yields a positive emotional response and enlivens the senses.